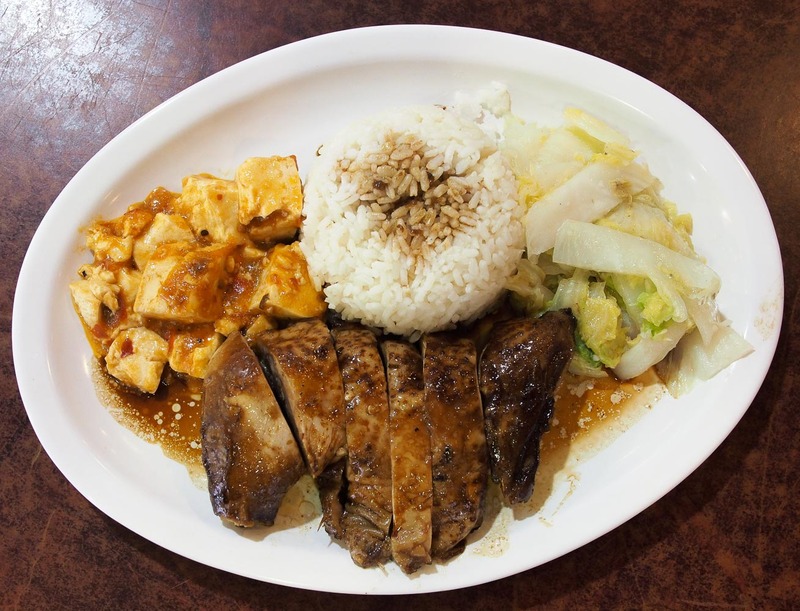 Oh joy oh joyous of happy days, one of our favourite all time Taiwanese restos has moved into the Sussex Centre. 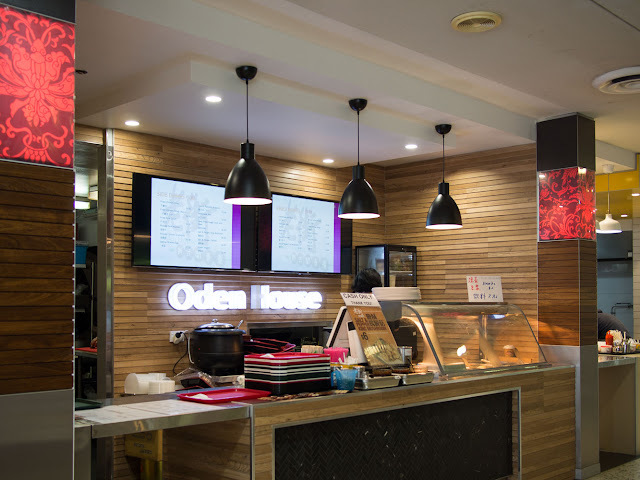 We've documented and declared our love for Oden House well and truly. While we did prefer the on-the-street vibe of their old resto, we're just happy to see they're still cooking. We just hope their fans follow them to the new location. It's the Taiwanese braised chicken leg bento that Shawn loves so much here - it's the only place in town where we've had braised chicken leg just like we had in economy rice shops in Taiwan. It's simple, not too sweet, not too salty, and served excellent sides of tofu and cabbage, and classic drizzle of pork mince sauce on top of the rice. Oden House keeps on keepin' on - they are doing the bainmarie-of-love thing now - three choices for nine dollars eighty or thereabouts. The stuffed eggplant is must-try, a chumpy meaty (pork?) filling encased in soft smokey eggplant, oh year. The braised beef is excellent, reminds us of the beef chunks you get in Taiwanese beef noodle soup. But the egg and tomato, usually a favourite of ours, is too sweet for our tastedbuds. On top of your three wise choices there's greens and a little pork'n'tofu, finished off with a pretty good meaty side soup and a lovin spoonful of porky sauce over the rice. Happy days. 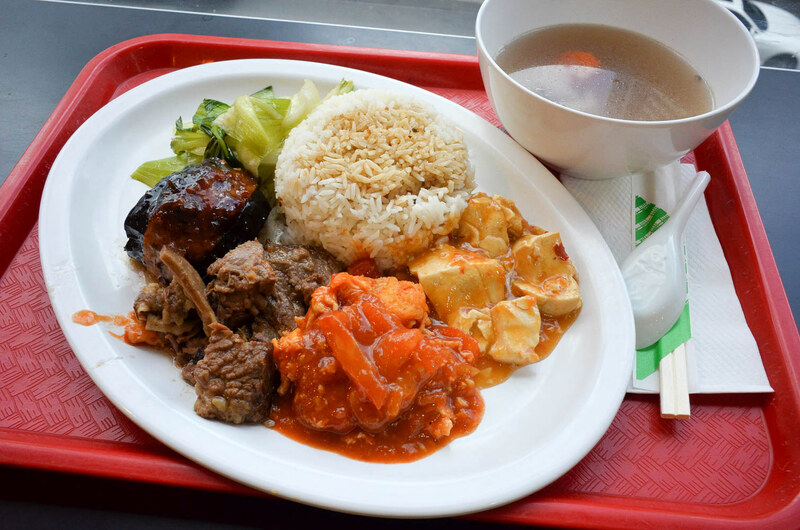 Oden House is in the Sussex Centre Food Court, 401 Sussex Street, Chinatown. Head up the escalator and ding a ding dang your dang a long ling long.